ASHT in Sanskrit means eight. Ashtakvarga denotes eight types of energies, which every planet in a horoscope generates with reference to itself, lagna and six other planets (Rahu & Ketu excluded). The energies released can be benefic or malefic. Ashtakvarga, though by itself, an independent system is an offshoot of Parashari system. It is easy to comprehend and gives snapshot, accurate and correct predictions by pinpointing the main events in a horoscope. Its main strength is in timing of events by assessment of results of planets in transit. The figures in Ashtakavarga of each planet are subject to two types of reductions. These reductions are made for calculating longevity and making other predictions. There are two types of reductions called Trikona and Ekadhipatya reduction which goes one after another i.e. Trikona then Ekadhipatya reduction.This order cannot be reversed. Twelve rashis are divided into four groups of trine (Trikona) rashis. 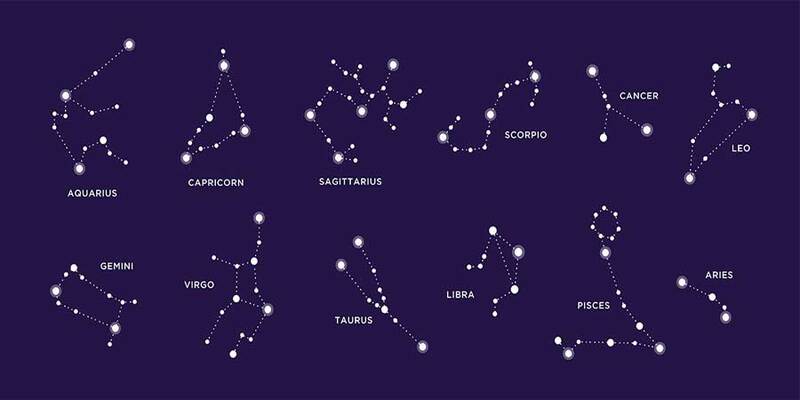 Aries (1) its trine Leo (5) and Sagittarius (9) is 1st group called Fiery sign. Gemini (3) its trine Libra (7) and Aquarius (11) is 3rd group called Airy sign. Cancer (4) its trine Scorpio (8) & Pisces (12) is 4th group called Watery Sign. 1. If the figures in three signs are unequal, deduct lowest from all the three and retains the remainder. 2. No reduction is to be carried out if any one of the three signs have ‘0’. 3. If there are on figures in two signs then make third also ‘0’. 4. If figures in all signs are equal then eliminate all; make them equal to ‘0’. After trikona reduction has been carried out, this would be next reduction. Ekadhipatya means ownership of two signs by a planet. Sun and Moon own one sign each, Cancer (4) & Leo (5). Therefore no reduction is to be carried out in these two signs. i. If there are planets in both the signs owned by a planet. ii. If there is a ‘0’ (zero) in one of the two signs whether occupied or not. i. If the number in the occupied one is greater than that in the unoccupied one or equal to, then eliminate the latter. Make it ‘0’ in unoccupied one. iii. If the number is equal, eliminate the number in the unoccupied one to ‘0’. i. If the numbers are equal in both signs,eliminate the number & make it ‘0’. ii. If the numbers are not equal then convert the lager into smaller one. 1, Apply 2b or 3b only when 1b is not applicable. 2, Rahu & Ketu are not taken into consideration as planets for this purpose. After two reductions have been carried out the below two processes are to be carried out. 1. Rasi Gunakara or Rasi Multiplier:- Each rashi has a fixed number allotted to it. This is constant and cannot be changed. 2. Graha Gunakara:- Each planet(grah) has a constant planetary factor which also cannot be changed, and bindus after second reduction have to be multiplied with these factors. In each horoscope the number of bindus left in each rashi after two reductions is to be multiplied by the above two factors. First by rashi gunkara and the by separately by graham gunakara or planetary factor. The products of these two have to be added to get Shodhya Pinda. The controversy relates to the use of 337 or 386 bindus as the total points of SAV (Sarvashtakvarga). The difference comes up due to the inclusion or exclusion of Lagnashtak bindus, whose total points are 49, if added into 337 it becomes 386 points. Some Astrologers say that Rishi Prashar has given the Ashtakvarga of Lagna also just as he has given for seven planets, to make it a complete ASHTAK i.e. Eight. Ashtakvargas of the 7 planets does not make duplication since in Lagnashtak, the bindus are contributed by the planets in auspicious place from themselves rather than from Lagna. Lagnashtakvarga is necessary to determine total longevity since the years granted by each planet have to be supplemented by the years granted by Lagna also. In the BAV of each planet the auspicious place from Lagna has also been taken and the bindu added to it with each planet. Lagnashta bindus are almost the same as per given in table. If we include Lagnashtak bindu into SAV bindus then Lagna would be contributing twice which is an unwanted duplication. Lagna is a fixed point and does not transit from one sign to another like the planets do. If Lagnashtak bindu is added to SAV bindus then total points become 386 and the average points for each house will be 32 whereas if we take 337 points average points will be 28, which is accepted to most Astrologers and classical books as a magic figure. We have seen that if the native is running a good dasha and Saturn is transiting in a house with 25 points, we consider that transit will not be bad. Some astrologers say that Ashtakvarga should be calculated from Bhava Chart rather than the Rashi Chart. This view has been advocated by Kalyan Verma and Gunakar. The exact degree of Lagna is middle of house and the house extends to 150 in both directions. 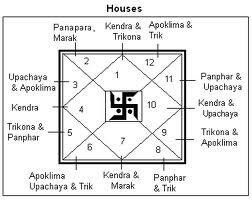 This concept initiated by Shripati, often changes the house occupied by the planet in the bhava chart, more specially if the Lagna is in either low or high degrees. They say that how can the native has the same fate if Lagna with 10 or 290 is rising at the time of birth. Will the events experienced by both be the same? If not so, Ashtakvarga should be calculated on the basis of Bhava Chart and not Rashi Chart. Certain Yogas are formed with the help of Bhava alone and not Rashi, like Gaj Kesari Yoga etc.The case of twins born a few minutes apart enjoying different fates will be the example. The majority of astrologers does not pay much attention to Bhava Chart and give off their predictions by seeing the Rashi Chart and the Divisional Chart. Rishi Parashar has not taken into consideration Rahu’s Ashtakvarga since it is a shadowy planet and has not been allotted ownership of any sign. Probably for this reason, Rahu has not been included in the SAV along with other 7 planets nor has been given lordship of any KAKSHYA. At a later stage only in Shambhu Hora Prakash and some Yavanacharya advocated for it. And one wonders why these acharyas have not given any importance to Ashtakvarga of Ketu. Nevertheless, the BAV of Rahu could be used to see the transit of Rahu and also its Dasha, Antardasha as it commands a dasha of 18 years. But it should not be included in the SAV of 7 planets as it is only a shadowy planet. Prasthar means spread, when we divide the sign in 8 parts. Each part is called a Kakshya of 30-45/ each and has been assigned a lord in the order of Saturn, Jupiter, Mars, Sun, Venus, Mercury, Moon and Lagna. The order of planets is as per their motion in the zodiac starting from Saturn the slowest.When a Planet enters a sign, it first traverses in Saturn’s Kakshya, and then it enters Jupiter’s and so on. A total benefic point in a sign is called BAV, total bindus contributed by each planet. Whereas Prastar Chakra reveals which planet has contributed a bindu and which has not. A slow moving planet like Saturn takes 2.5 years to traverse a sign. Does it mean that the entire 2.5 years period will be bad if Saturn is not associated with good number of benefic points in that sign? No, Saturn will produce good results when passing through the Kakshya of those planets, which have contributed a bindu. Prastharashtakaka Varga can be used for the delineation of Dasha results and predicting the effects of transit. The timing of events can be narrowed down to as brief as possible with the help of Prastharashtakaka Varga and its Kakshya. Best Examples are Pt. J.L. Nehru when he became PM on 15.08.1947 or J.F. Kennedy of USA, when he became President on 05.11.1960. and many more. Ashtakvarga is the study of benefic / malefic positions of planet from eight different points. 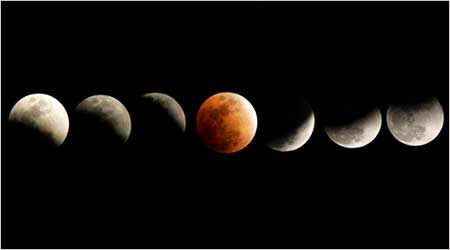 For example, when we say Ashtakvarga of Moon, it actually means a study of benefic positions of Moon from its position and other six sources i.e. Sat. Jup. Mars, Sun, Ven. Merc. And Lagna. Ashtakvarga is used to judge the strength of planet in transit taking natal chart as base, whether planet A is in favourable position from majority of other planets and Lagna. Classical writers even go to the extent of saying that even if a planet is placed in unfavourable position from natal Moon, it will give benefic results if it is strong in Ashtakvarga. This is because Ashtakvarga will take into account not only the favourable position from natal Moon but from other planets’ position also in the natal chart. For Muhurta purposes, one can prepare BAV and SAV from the Muhurta Horoscope and see that activity related houses should be strong in BAV and SAV. For marriage purpose one should ensure the strength of Lagna and 7th house. Similarly one should extend the rule for other Muhurta also.